The Library will exceptionally close at 2:00pm on Monday 24 December 2018 on the occasion of Christmas Eve. The Library will exceptionally close at 1:00pm on Friday 14 December 2018 to allow the library staff to participate in the end End-of-Year appreciation event. 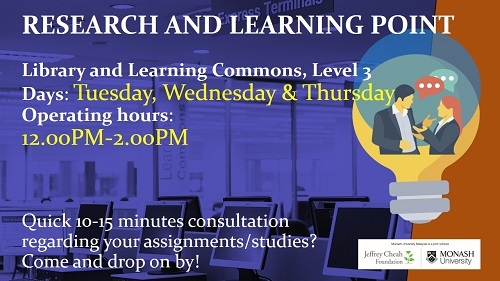 Please be informed that the Research & Learning Point in the library will be open for student consultation from 12.00 to 2.00 pm on Tuesday, Wednesday and Thursday every week instead of the usual 11.00 to 2.00 pm. Day, the Library and Learning Commons sponsored and organised a seminar on the theme “Improving research and data interactions at institutional, national and regional intersections: An exploration” which was held on 9 October 2018. 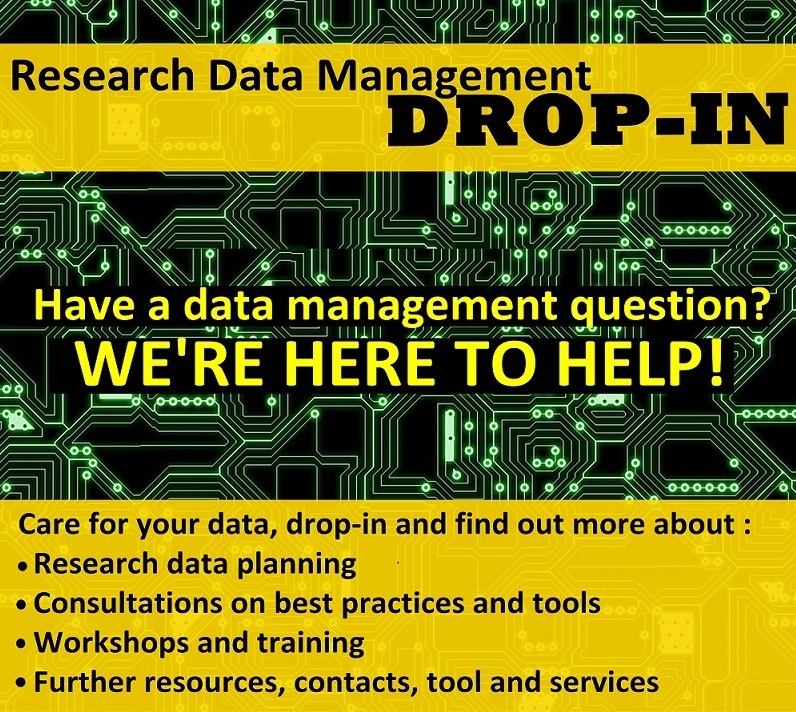 The Library and Learning Commons is conducting a survey on research data management practices among academic staff, researchers and HDR students at Monash Malaysia. 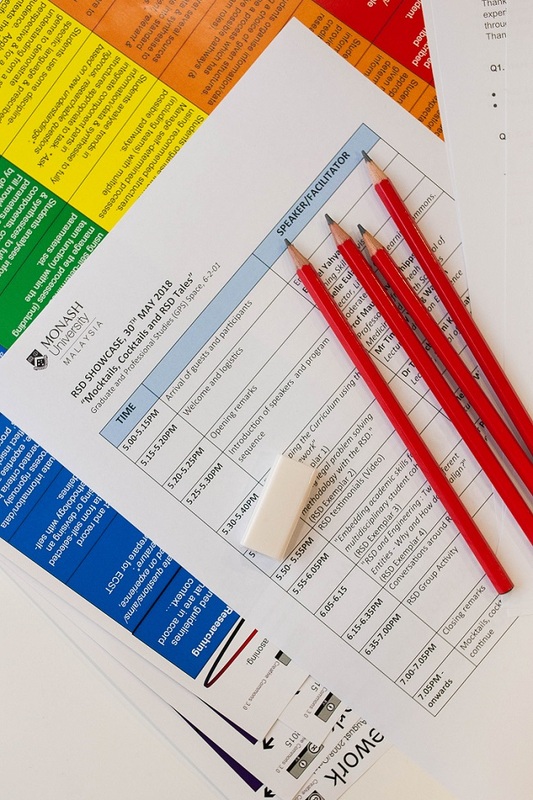 The survey aims to gather feedback on Monash Malaysia community’s awareness of research data planning and on current research data management practices for digitally stored research data. The Library and Learning Commons cordially invites Monash Malaysia academic and professional staff to the 2018 Research Data Day Seminar “Improving research and data interactions at Institutional, National and Regional Intersections: An Exploration”. 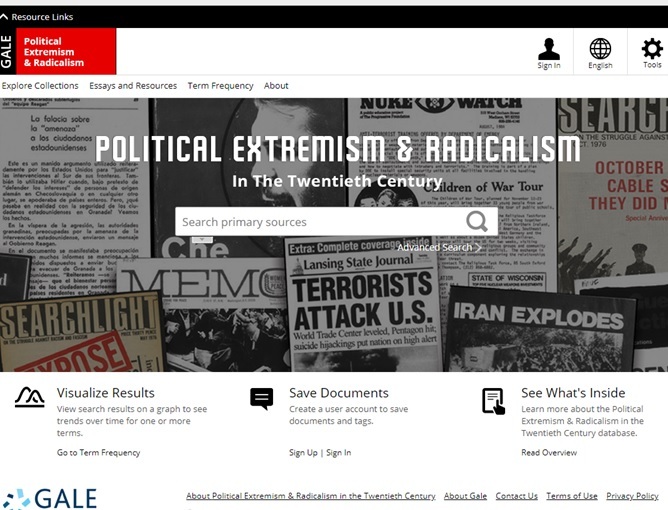 This database provides sources documenting an extensive range of radical movements in the twentieth century. Researchers are able to access content on far-right and fascist movements, alongside significant coverage of radical left groups thus providing points for comparison. Gallup Analytics is an online platform that provides access to hundreds of U.S national data and global tracking data from the Gallup World Poll. 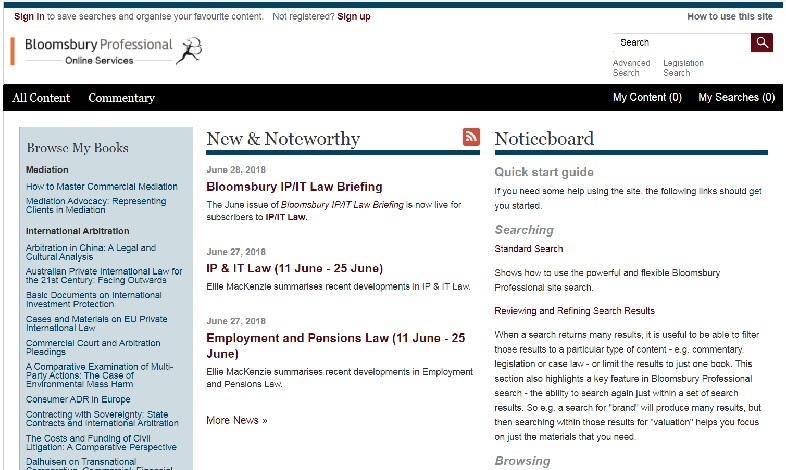 It also provides data by demographic and socio-economic categories, direct citations of Gallup's work and allows subscriber’s to search, examine, compare and export their searches. 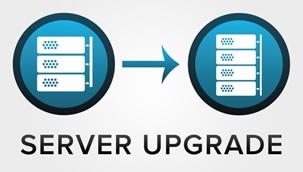 Ezproxy will be offline on Monday 25 June 2018 between 7:00 am to 11:00 am (Malaysia time) for a system upgrade. 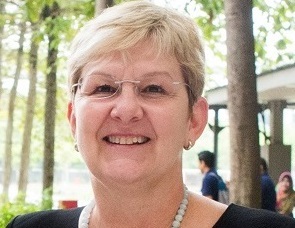 Unlocking research and developing responsible and autonomous learners is the fundamental theory behind John Willison’s and Kerry O’Reagan’s (Adelaide AU) Research Skills Development (RSD) Framework. 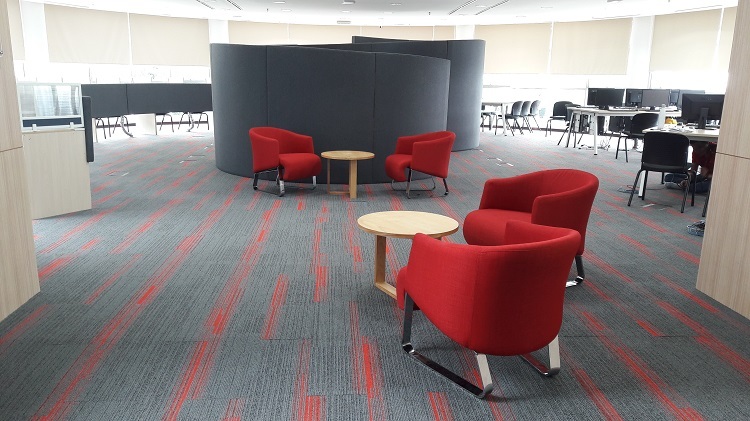 Following five months of transformation and renovation, level 3 of the Library is ready to unveil its new informal learning spaces, right on time for the beginning of the SWOT-examination period! 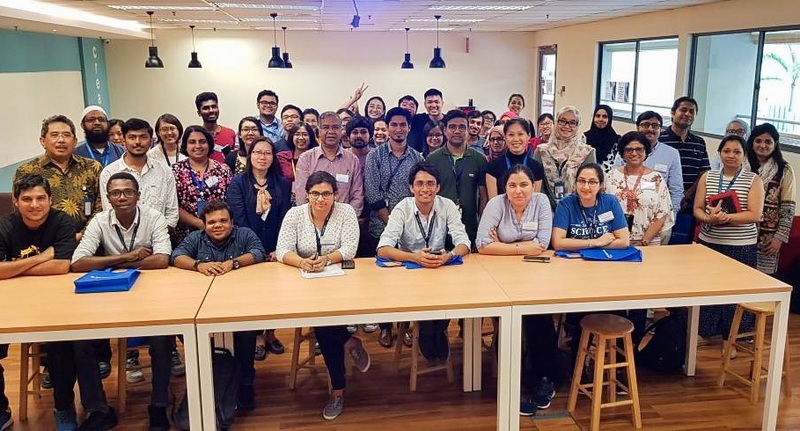 On 5 May 2018, the Library staff at Monash University Malaysia gathered for a day of discovery, exploration and fun on the occasion of its fourth Information Day 2018. On 17 April 2018, Library staff at the Clinical School campus unveiled the new Clinical School Library (CSL) at Monash 1 building to the Johor Bahru campus. 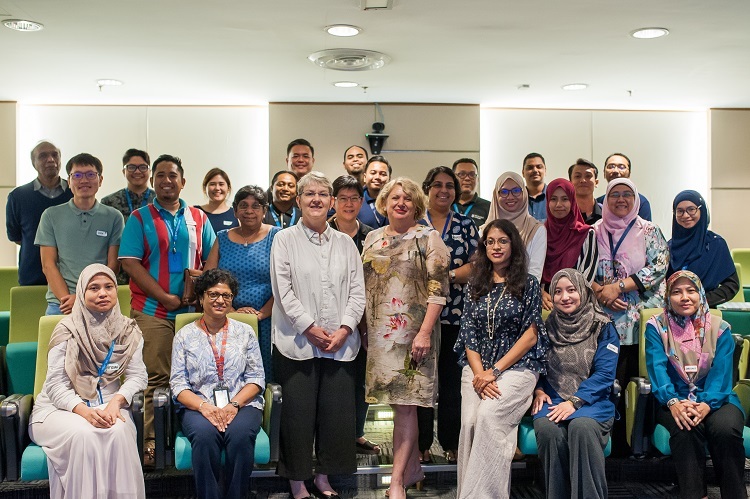 From 9-12 April 2018, librarians and learning skills advisers from the Research and Learning department, library managers and colleagues from the Education Excellence department attended the eLearning design program designed jointly by Monash Malaysia Library staff and the Library’s Digital learning and teaching team, and facilitated by Steven Yates, from Monash Australia Library. The Level 3 library will be closed on 21 and 22 April 2018 to allow contractors to complete urgent refurbishment works this weekend. 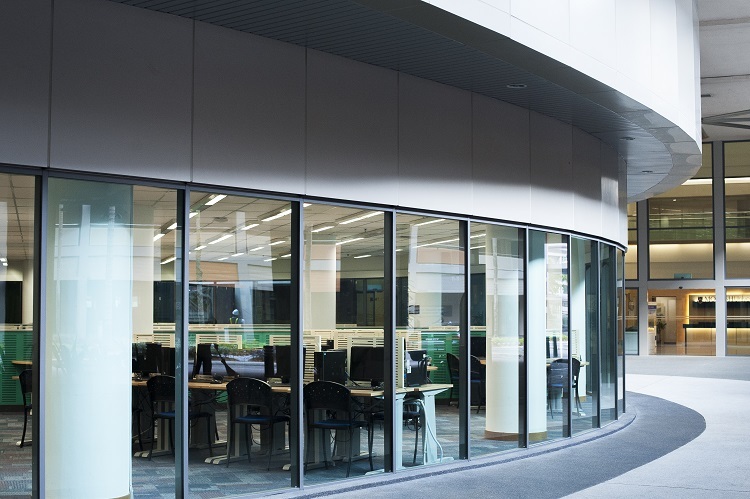 We are very happy to bring the exciting news that JBCS Library is now ready to move to its new location at Monash 1 Level 3. 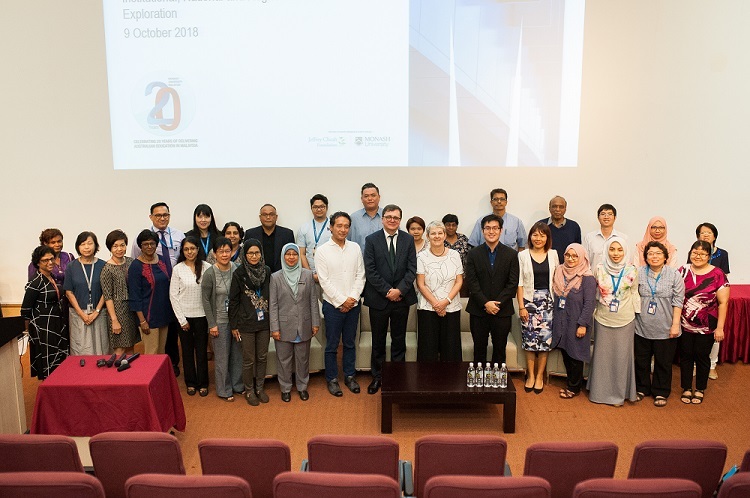 The Road to High Impact Publications: A one-day workshop was held at Monash University Malaysia on Thursday, 8 March 2018. 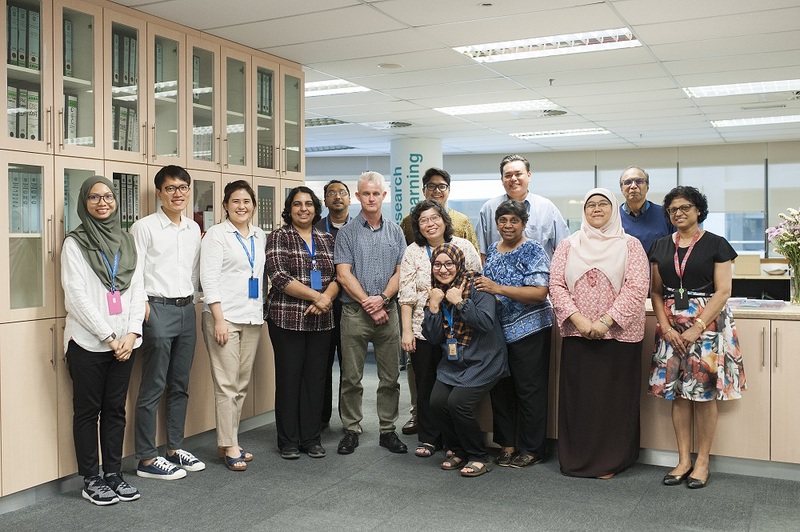 The workshop is part of the Monash University Malaysia Research Workshops series organised by the Professors Advisory Group (PAG) jointly with the Research Management Office and Library and Learning Commons. Following my update on 20 February 2018, I am pleased to share some exciting news about the latest refurbishment project set to take place in the Library. 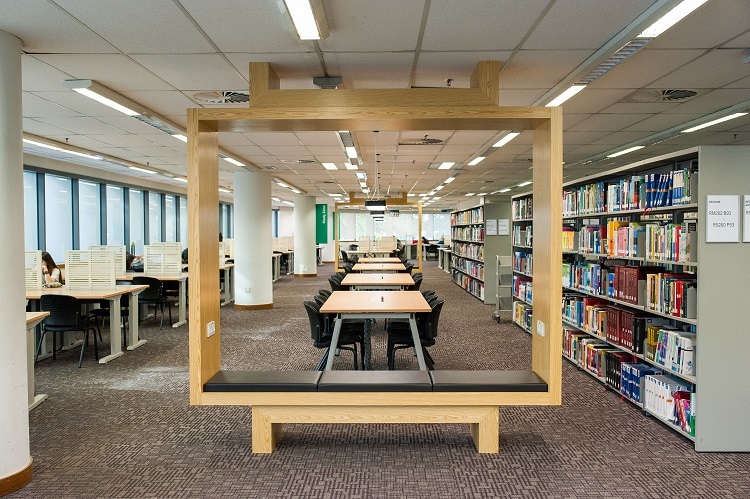 The renovation work on Level 3 of the Library and Learning Commons will commence on 23 March 2018 and last until 30 April 2018. 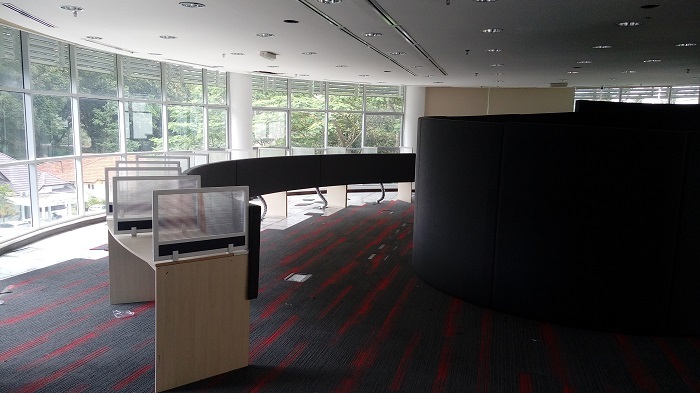 Congratulations to all and a warm welcome to Monash University Malaysia Library! Learn about the Library and win amazing prizes! To enable effective research data practice and enhance Monash Malaysia research impact, beginning February 2018, we have stepped up research data services and programs by way of these engagement activities. 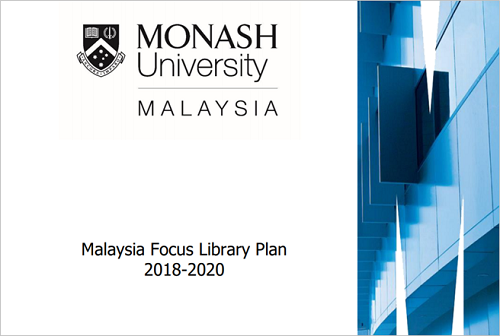 Malaysia Focus Library Plan 2018-2020 provides the Library’s response to Focus Monash and to Monash Malaysia Campus Plans 2018-2020.